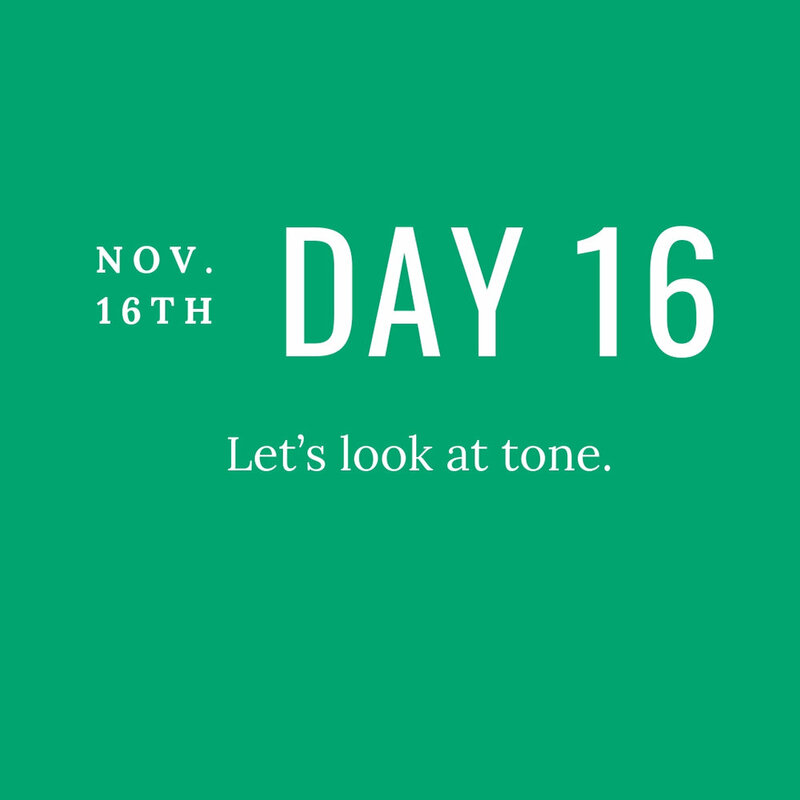 Today, I want you to identify the tone of your novel. Of course, there will be shifts in tone throughout your pages—no one wants to write (or read!) a one-note story. But at the same time, it helps to identify the primary tone or feeling of the novel. Is it light and funny? Once you know it, this feeling will help guide you in your prose. You can think of your tone as if it were an album—is it mostly upbeat and danceable with a couple slower songs? Or is it a mellow record with a few tracks you can bob your head to? To take this metaphor a step further, we can see how throughout an album we’ll hear the same voice in every song. The instruments will also, for the most part, be consistent, but with more variation than the voice. Some songs might have more layers—some strings, maybe, a horn—while others might only have a piano or guitar accompanying the singer. But even though the tracks are all different, there is a consistent sensibility to a cohesive album. Now turn to your novel. First, describe your novel’s predominant tone in one to three words. Now, think of your novel as a very long album, where the chapters (and even the scenes within those chapters) are each a different song. Choose some of the scenes you’ve already conceptualized or written. What do each of these scenes sound like? Do they deviate from your novel’s predominant tone? And if they do, is this intentional, as a way to make them stand out in the story and add to its dynamism? Or is it accidental? Do they need to be altered in order to fit in? Finally, identify the passages that are perfect embodiments of the predominant tone of your novel. You can think of these moments similarly to how we’ve been conceptualizing settings as anchors. These passages are the anchors for tone, the feeling your reader will expect to come back to time and again.